There's no messing around with Kylo Ren! 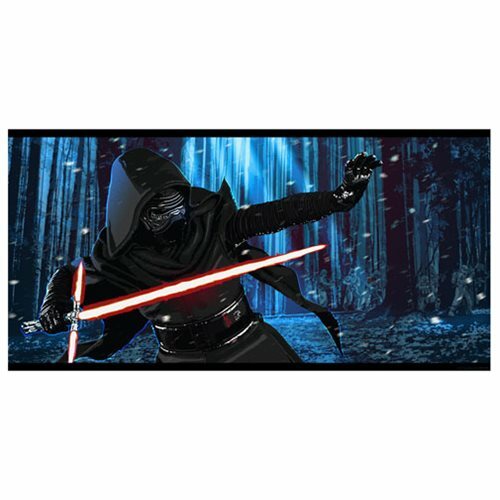 This Star Wars: The Force Awakens Immune to Light by Stephen Sampson Paper Giclee Art Print features the son of Han Solo and Leia Organa wearing his Dark side clothing, his lightsaber posed to strike. A limited edition of 95 hand-numbered pieces, this paper giclee art print measures 24-inches wide x 12-inches tall and comes complete with certificate of authenticity!